If you have a soft spot for heavy drinking, horny helmets and good-natured pillaging then feast your eyes on Betsoft’s Viking Age online slot. Boasting lush graphics, impressive characterisation and a bevy of bonus features, this five-reel 3D spinner with three rows and up to 40 paylines has enough arm wrestling and pig-tailed maidens in its longboat to make even Hagar the Horrible sit up and take notice. 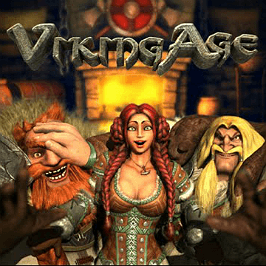 Play Viking Age Slot Demo for Free! Play Viking Age for Real Money! 100% Welcome Bonus up to £200 + 200 Extra Spins! Considered one of Britain's best new online casinos, Spinit Casino - as the name would suggest - is a slots casino every player needs to check out at least once. Thanks to partnerships with some of the top slot game providers, Spinit Casino is poised to sit a top the slot sites world for years to come! 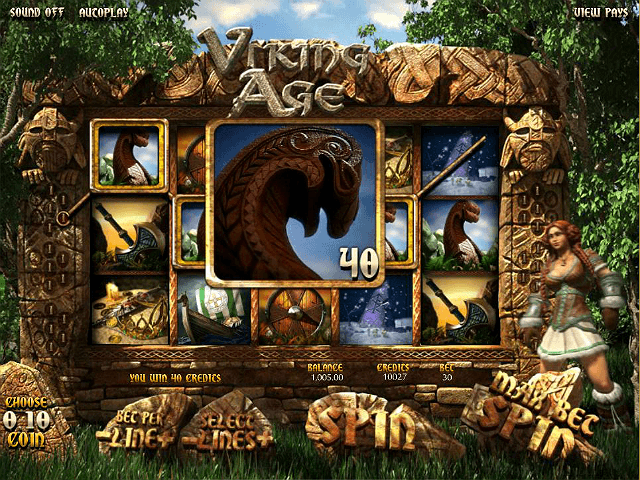 The Viking Age slot uses a cast of colourful characters to perpetuate the game’s strong Viking theme. The chief personality is Amma, a tough, fierce and rather buxom female warrior who leads a clan of Viking raiders on various adventures to explore new realms and find secret treasures. The presentation of this non-progressive offering is, as we’ve come to expect from Betsoft, excellent. The cinematic intro is suitably epic while being fun and amusing at the same time. The animations that pop up with each winning combination are a joy, as is the sweeping soundtrack, with its rhythmic rowing drums and grand, Lord of the Rings-style score. Even the reels, suspended on an imposing timber-carved monument, look grandly heroic, with Amma herself standing (rather impatiently at times) just to the right in what appears to be a leafy forest meadow. Betting ranges from £0.02 to £150 per spin while the RTP stands at 94.2%. As you'd expect, the symbols that adorn the game's reels are all Viking themed. This means that, along with longboats, runestones and other Viking characters (Elgrim and Erik), you'll see things like axes, treasure, figureheads and flags spinning round at speed. It's important to note that there are no wild symbols on any of the Viking Age slot machine's reels. There are, however, three scatter symbols: a red Viking helmet, an arm wrestling symbol, and Amma herself. If you land three or more red Viking helmets anywhere on the reels then you'll trigger the Runestone Doors feature. This isn't a Scandinavian Jim Morrison covers band but rather a quaint 'pick me' subgame where you help Amma choose from five symbols. The motif you select will yield a cash prize, free spins or afford direct access to the Bonus Round. The Bonus Round is activated whenever three or more of the arm wrestling symbols appear anywhere on the reels. Manage this and you'll be taken to a new screen displaying two Vikings about to have an arm wrestle. Your job here is to choose which wrestler to side with then help him win by picking the side of a coin toss – either heads or tails. Guessing the result of the coin flip correctly adds strength to your chosen wrestler thereby increasing his chances of winning. If your chosen Viking wins the arm wrestling contest then you'll pocket big bonus payouts. If three or more Amma symbols pop up anywhere on the reels then you'll get six free spins. Every payline is subject to a random win multiplier during this round. Betsoft seems to have come up trumps again with its Viking Age online slot game. Along with top-notch design and a truly engaging theme, it’s managed to squeeze in several attractive bonus features and throw in a genuinely fun Bonus Game for good measure. Impressive stuff. Skol! 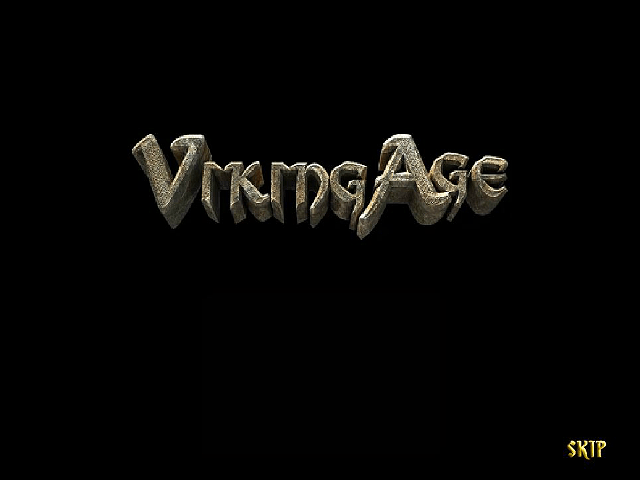 Share this Viking Age Review today! 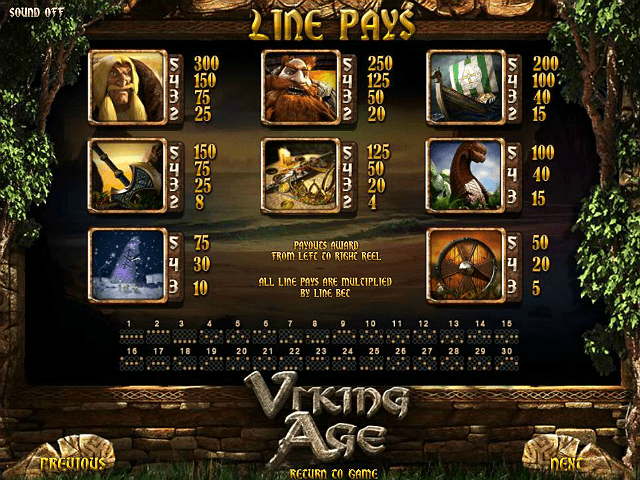 If you like Viking Age, you'll love these slot titles too!